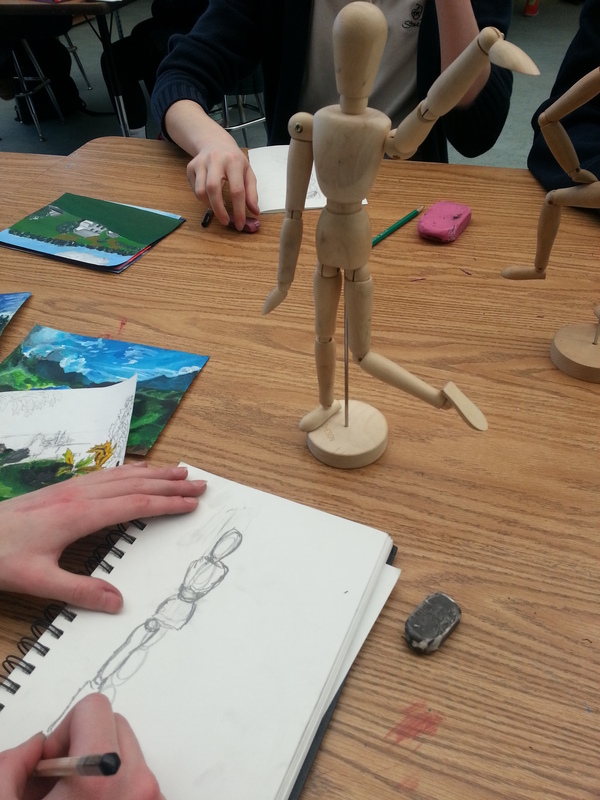 Figure Drawing: A Slow Build – Emma Teaches Art! 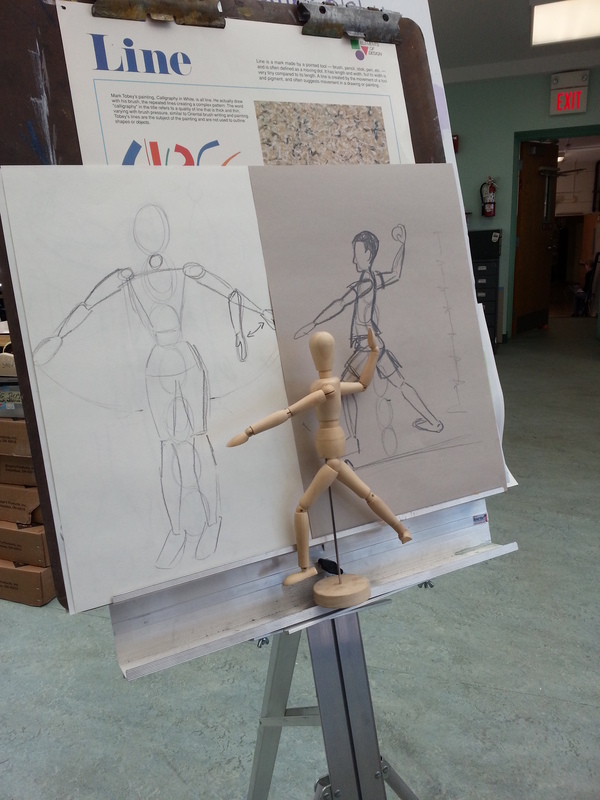 We have been working on studies of the human figure. Something most of my students are familiar with, but not comfortable. 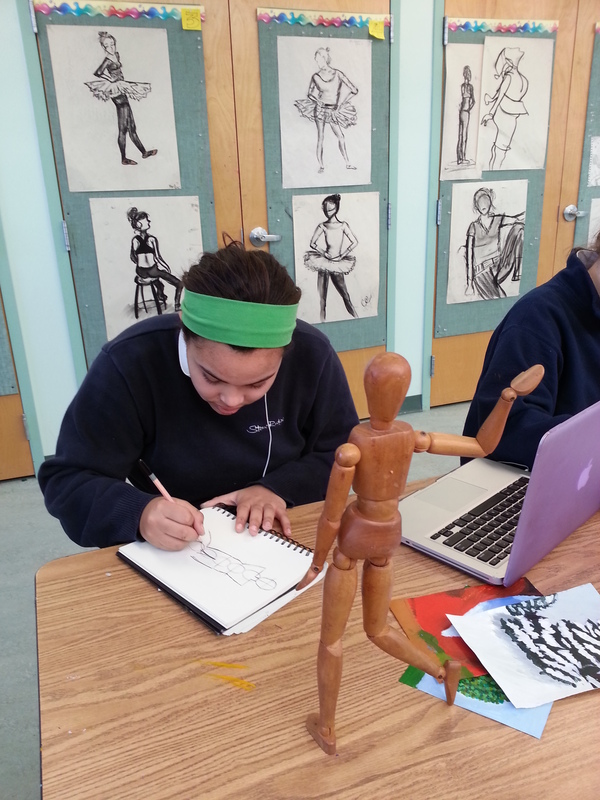 I wanted to encourage and create confidence in my young artists who have expressed interest in drawing people. 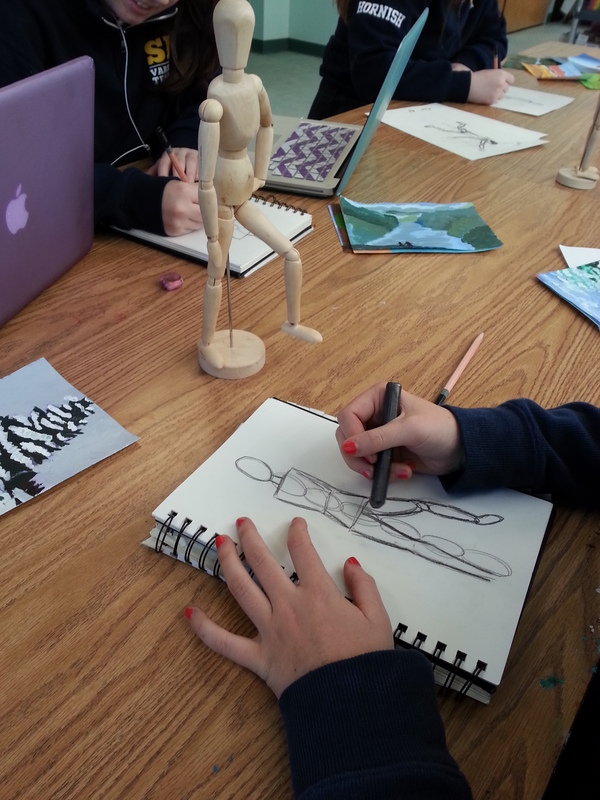 I even have a few students who are interested in fashion design and have expressed a need to learn more about drawing figures for the sake of adding clothes to them. 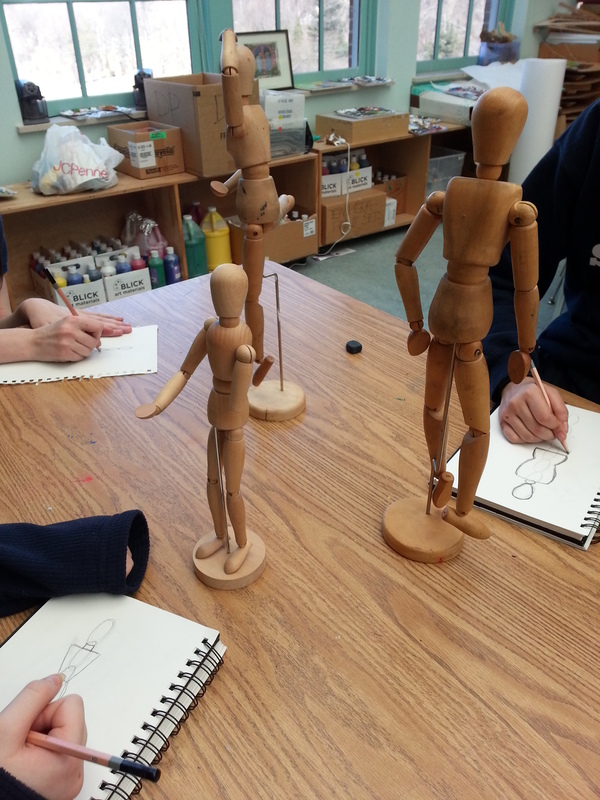 During our first day with figure drawing (before I broke out the charcoal) we eased into this project with simple pencil drawings of our class set of mannequins. 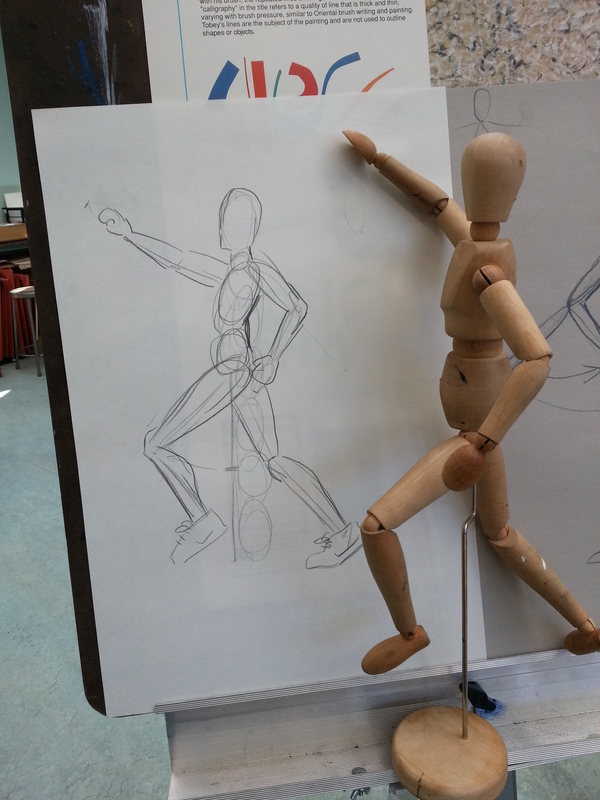 I introducing the classic drawing technique of using 7 heads to keep the average proportions of a human figure. Looks great! 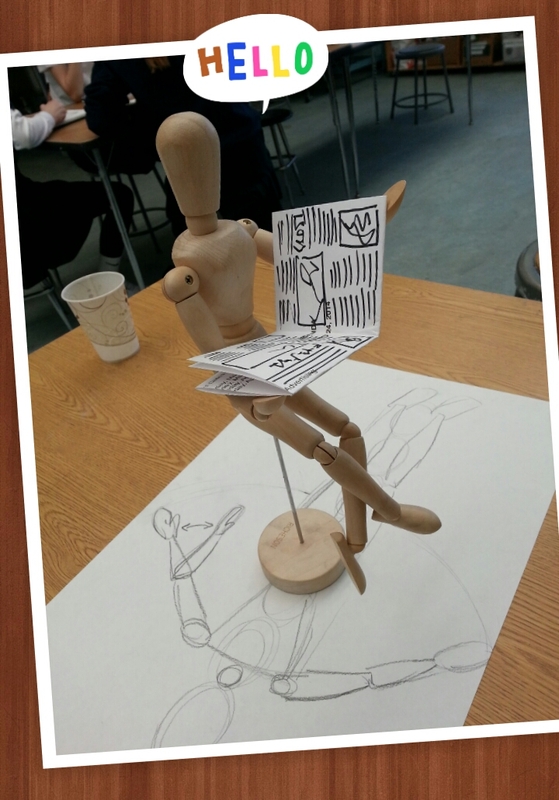 That’s what I’m working on now with my students.